Mia de Kuijper has successfully built and run companies as well as academic institutions. 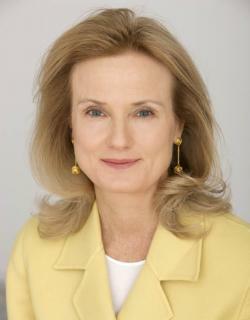 Her corporate and management positions were at Royal Dutch Shell, PepsiCo, and AT&T. She has been a Senior Managing Director on Wall Street with careers at CSFirst Boston, Bear Stearns, and Morgan Stanley. de Kuijper has been a consultant at McKinsey and Bain&Co. She has worked extensively in Latin America, Asia, Europe, and the US. She speaks Dutch, French, German, Portugese, Spanish, and (basic) Mandarin. de Kuijper is the author of Profit Power Economics: A New Competitive Strategy for Creating Sustainable Wealth published by Oxford University Press. She advises and writes extensively about corporate strategy, investing, strategic use of network economics and social networks, effective management of global organizations, and risk management. For several years she has served as an Entrepreneur in Residence at the Harvard i-Lab and has mentored students and recent graduates of the Harvard Graduate School of Arts and Sciences in unlocking their fullest career potential. 6:30 PM program followed by reception.